From room decorations to toys and more, your child will love these Miffy-themed gifts this Christmas. Here are six of the sweetest Miffy products to fill your stocking with this year – all £10 or under. 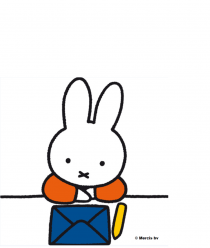 Give your best friends and family something unique and personal, with Miffy’s gorgeous range of personalised gifts!